The herb garden is providing abundantly. That means I'm grateful and that I'm looking for ways to use it all up. These lemon balm drop biscuits are a tasty result of that search. 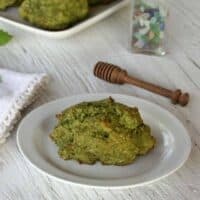 So many herbal recipes include just a Tablespoon or two of the fresh herb. Sometimes that is all that is needed. Other times I want the herb to be the star flavor. 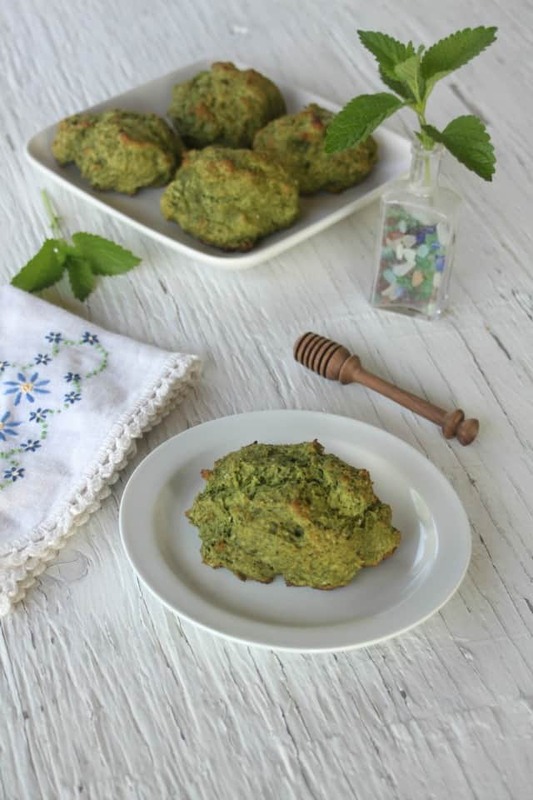 A tightly packed cup full of fresh lemon balm is required for these biscuits. This should weigh out to be 1.5 ounces. The original recipe only includes 2 Tablespoons of sugar. A person could easily go up to 1/4 cup for a sweeter flavor. Omitting the sugar completely would still result in a delicious biscuit. These are great slathered in some butter and jam for breakfast. A drizzle of honey on top is great too. The lemon flavor is a great compliment to eggs. Add a little more sugar to the dough and use them as the base for strawberry shortcake. Serve with some lemon curd as a teatime snack. A good biscuit is a thing of delight. I'm always amazed by flaky, gorgeous biscuits. I don't have the talent because I overwork the dough. Drop biscuits cut out the step of rolling and cutting making it a little easier for folks like me. Mix up the batter, drop, bake, enjoy. Simple as that. 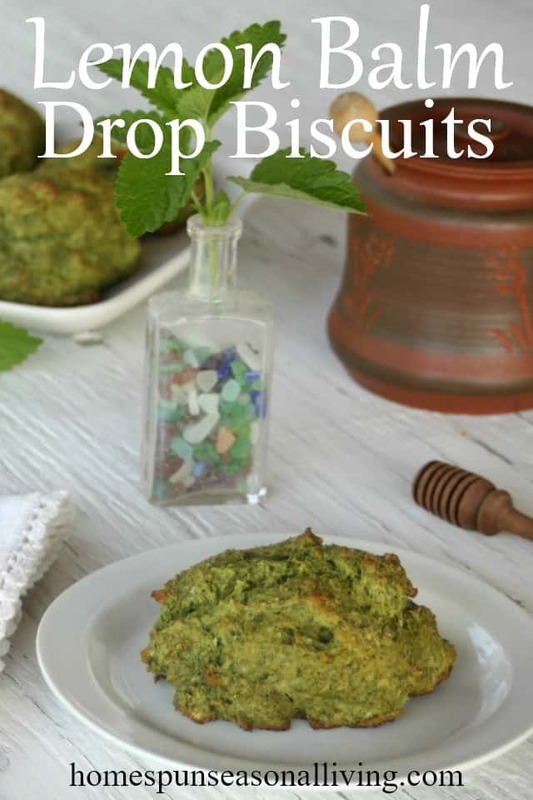 Make the most of the ever abundant herb garden by tossing them into an easy to whip up quick bread with these delicious and flaky lemon balm drop biscuits. 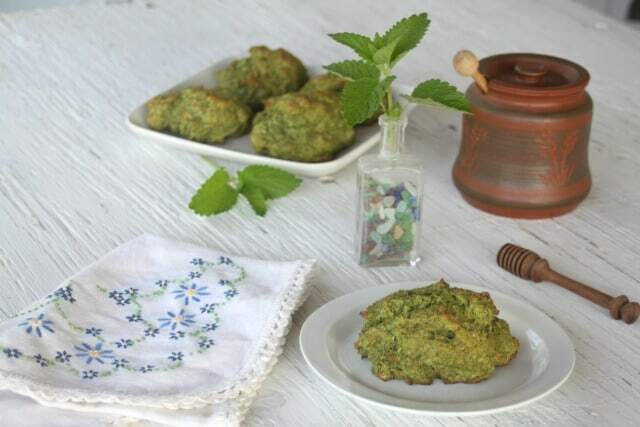 In a blender, combine the milk and lemon balm. Puree. Set Aside. In a large bowl, whisk together the flour, baking powder, and sugar. Add the cold butter and using a pastry blender or fingers mix together until it resembles a coarse corn meal. Pour in the milk and stir together until well combined. Drop by large spoonfuls onto the baking sheet about 3 inches apart. Bake in preheated oven for 12 to 15 minutes or until lightly browned.